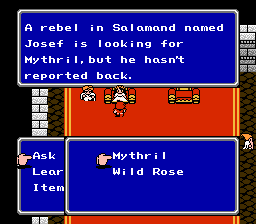 Final Fantasy II is a role playing game for the Nintendo Entertainment System. 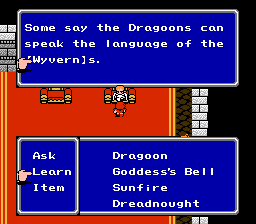 The most widely used NES translation patch of Final Fantasy II is the NeoDemiforce patch, which while great for its time, is filled with jokes and translation errors, with even some completely made-up lines thrown in. 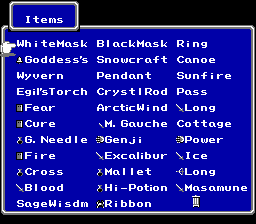 The aim of this project is to provide an English version of the NES Final Fantasy II with a much more accurate English script in addition to using official Square Enix names and terminology for the characters, items, etc. 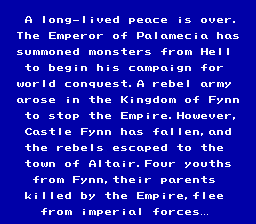 The Demiforce script has been thrown out entirely, and replaced with a fresh new English script heavily influenced by the official GBA translation, but the content of the script remains identical to the original Famicom version, and certain lines that were changed between the Japanese Famicom and Japanese GBA versions were retranslated from scratch. 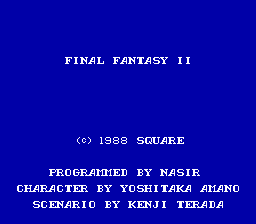 Please apply the patch to a clean Japanese Final Fantasy II ROM. Staff Note: According to ChaosRush’s readme, he used Demiforce’s hack as base. So this is clearly an Addendum patch for Demiforce’s hack.